The Children’s War, by Shaindel Beers. Beautiful work....more on this soon! Thrall, by Natasha Trethewey. She’s coming to speak at CCAD (where I teach, quite happily!) this fall.....can’t wait to see her read! The Faraway Nearby, by Rebecca Solnit. This book has been living in my brainshelf since I read it a few weeks ago. I loved A Field Guide to Getting Lost so much, and I might actually love this book equally. The audio excerpts from Photographs Not Taken: A Collection of Photographer’s Essays. WOW. What an inspiring idea....I’m wondering if “poems not written” would be interesting at all? “Let Us Now Contemplate the Key”--an essay (!!!) 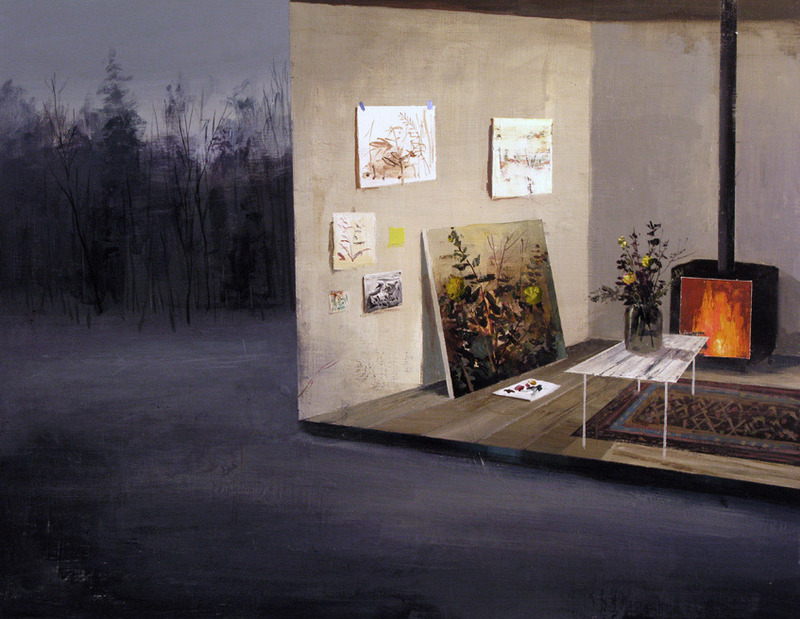 of mine in The Atlantic, as part of the wonderful Object Lessons series. Four poems of mine from In the Kettle, the Shriek at The Toast (one of my most-visited sites). What have you been reading this week? As always, thanks for visiting. I have thoughts of everything. for the mess you’ll accumulate. that’s never been off the leash. human life. And in the middle, war or sleep. 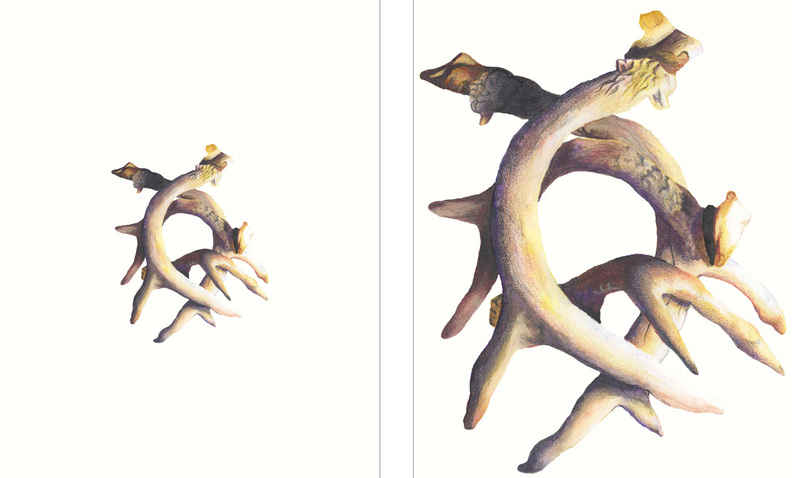 Today, I’m happy to share poet and artist Juliet Wilson’s thoughts On Creativity. I was working on my novel this morning and quite quickly got stuck. The story seemed to have got into a rut of nothing much significant happening. I stared at the computer screen for a while then gave up. Time to do some crafting! So I sat down and picked up my latest sewing project. Once I'd reminded myself of what I was to do next, I found my mind wandering to my novel. My fingers sewed away while my brain came up with ideas that have now transformed the scene I was struggling with into a vibrant and essential part of the story (well, we can all dream, can't we!). It was also that same session of crafting that unblocked my ideas for what specifically I was going to write in this guest post! I love writing and I love crafting and the two can work together in perfect harmony. Crafting gives me a screen break to avoid eye-strain and backache and keeps my fingers busy while my mind is free to wander over plot twists or word choices. I also like experimenting with bringing the two together. I recently made some poetry wind-chimes that were exhibited in the Forest Café in Edinburgh. I'm currently making poetry collages to sell in my Crafty Green Poet Etsy shop. The problem is though, with all the crafting I do, am I suffering from procraftination (the act of crafting when you should be writing)? It's easy to recognise that my crafting has a positive effect on my writing, but would I actually write more if I didn't craft? What do you think, readers? How do you procraftinate? Is it helpful to you or not? Interested in sharing your thoughts On Creativity (process, inspiration, and creative challenges) in a guest post here? Contact me. country. This is our chance. but is not always where we look. the way the stars do. Some artists weave wool blankets, and others make patchwork quilts. The first type of artist unifies and stirs. The second kind wants us to see the fragments and pieces of the puzzles they sit before. Speaking of the margin, her poems are so visually engaging--more traditional-looking, left-aligned poems strain against their leashes into the right side of the page; some are thick paragraphs of prose that extend across the whole page; others are reminiscent of exams, with multiple choice options, fill-in-the-blanks, and text in boxes. The book itself is a square--an unusual and smart choice that works so well in housing these poems. I admire how natural the design of this book feels. It is never heavy-handed. 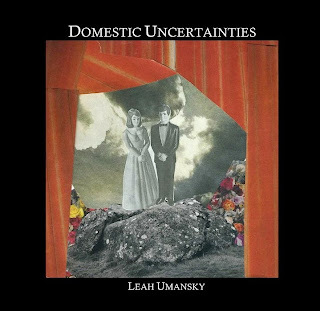 This might come from the fact that Leah is also a talented collage artist (this striking cover, shown above, is one of her creations). Her work feels alive and spontaneous and surprising on the page. NOTE: After the interview, read a preview of the book. Order your copy of the book here, where you can also view the book preview. Q: As a collage artist and poet, what is your relationship to fragments and pieces? When you make collages, does it feel the same as making poems? Why or why not? I feel like I’ve always made collages. Like every teenager, my bedroom walls were covered in snippets of magazines and so were my dorm rooms in college. When I became an adult and lived on my own, I turned to the refrigerator. (How domestic!!) All the fridges, in every apartment I’ve ever had, have always been a medium for collage, but so has every pegboard above my desk. I like surrounding myself with things I love, desire and enjoy. In creating this new version, I created a new self and pasted on parts of my previous life into it. What I mean to say is, my life was fragmented. Everything I knew was wrong. I was now this new thing, a divorcee. I was now this new woman trying to write her way through something devastating. I did it, I wrote the poems, but they are fragmented. They remained disjointed and I think that’s where my collages exist, too. Perhaps, I picked up the pieces my self and made them pretty-like. and the room the party is held in. three or four of its knuckles. from the meal we just ate tonight. This article, “Is the Sound of Silence the End of the Self?” in Aeon Magazine. 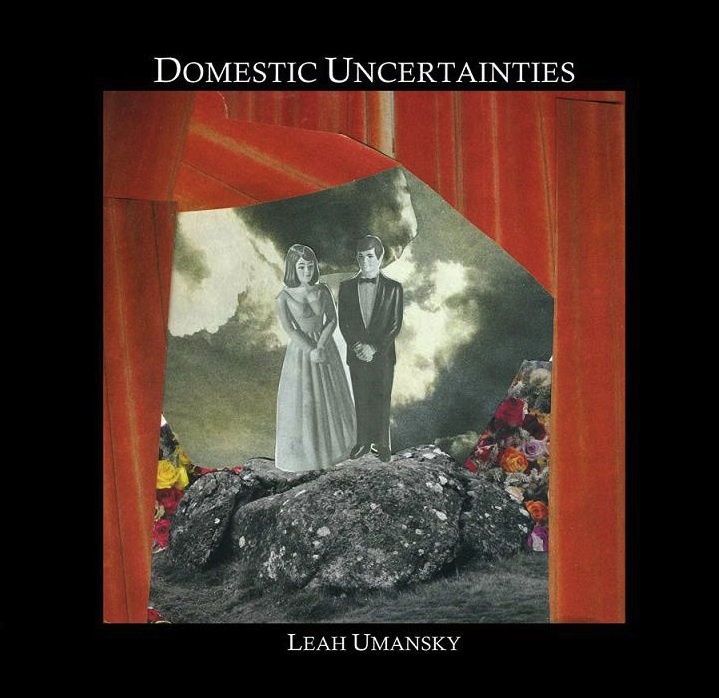 Leah Umansky’s terrific book of poems, Domestic Uncertainties (more on this next week). This is a place because I call it one. changing independent of what I want. This is a place. This is a place. This is a place. How wondrous, all the things that do not happen. There are so many trees. without knowing you were walking. Right now, I have this craving for other people’s creative voices. I’d like to start sharing On Creativity posts by YOU here. I welcome your thoughts on making stuff (including literature, visual art, music, movies, food...any creative work!). What have you learned about how you come up with ideas? How do you know that a project is finished? What are valuable lessons that you’ve learned about your process? What was the worst thing you ever made? What have you tried to do differently? How do you move on from a project that has failed? What’s been on your mind lately, as a creative thinker? (Here's one example that I wrote, and another, and another). I encourage you to be specific--lots of writing about creativity can be too general. I am so curious about your specific projects, examples, passions, and idiosyncrasies. The submission process is simple--send me a brief description of your idea, or send me a post. Either way, just send one at a time. Though I won’t be able to share everything I receive here on the site, I’m open to your ideas! Looking forward to widening the discussion on creative life. crying out, More decay, more decay!